We dedicate this website to our beloved eldest brother Mr. R.Lalthlengkima (Thlenga) who left us for eternal rest in July, 2017. He was born on 23rd April 1979 at out native village Sialsuk and growth up under the tender care and guidance of our loving parents Mr. R.Hrangzuala and Mrs. Lalthianghlimi. He did his schooling at Sialsuk (Govt. Primary School-II, Govt. Middle School-I, Govt. Sialsuk High School) and Aizawl (Govt. J.L Higher Secondary School, Pachhunga University College and the then DOEACC Centre - Zuangtui). His siblings are namely - Mrs. R.Lalchhuanvawri (W/o. Mr. Joseph Lalsiammawia Sailo), Mr. Lalthlanthanga, Mr. Lalzarzoa and Mr.Lalmuansanga (H/o. Mrs. Marina Laltlankimi). Our Big brother Mr.Thlenga got married with Mrs. Lalbiakmawii (East Lungdar) on 11th September 2014 at Presbyterian Church, Sialsuk. They were blessed with a lovely son R.Vanlalawmpuia. We called him with a tender nick name Opipi-a, he is truely an en-lighter of his parents and our whole family as well. During his student days he was actively involved in various activities of students communites. Till his death he was incumbent President of Chhimphei Mizo Zirlai Pawl (CMZP). He was also Executive Committee Member of Mizo Zirlai Pawl (MZP) General Headquarters: Aizawl for more than twice terms. In MZP General Headquarters he was actively engaged in Editorial Board member in 'MZP Chanchinbu'. He was also an incumbent President in Sialsuk Students' Union (Aizawl). 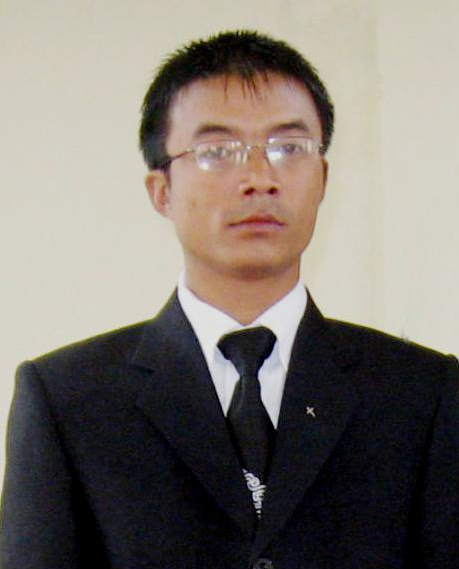 He was also working as Information Technology (IT) teacher at Hrawva School, Venghlui, Aizawl for more than two years. After spending his time in Aizawl he moved back to our home village due to family convenience he still lending his abilities there for the community and NGOs. He was elected as President in Young Mizo Association (YMA), Sialsuk Branch and he was also actively engaged in Game and Sport Association. When we took initiation for this site our big brother Mr.Thlenga was our master brain and inspiration. Whenever he had free time he never failed to keep update this site. He always wanted to provide free lyrics for the lovers of Mizo songs and lyrics. While we 'the Four Brothers' maintaining altogether this Mizo lyrics site for more than five years he had an ailment in July 6, 2017, he took rest at our home for almost a week and his condition was deteriorating beyond our expectation. He got admitted in Primary Health Center, Sialsuk then shifted him to Intensive Care Unit at Aizawl Hospital and Research Centre. While we are expecting his recovery from his deep illness but the almighty brought him for eternal rest on the morning of 14th July 2017 (Friday). His mortal remain was brought home on the same day and we laid his body to be awaiting for final resurrection at Sialsuk public cemetery on 15th July 2017 (Saturday). Though he left us in this world but our memories still lingers on him and he will be with us in spirit until we meet each other once again in the heavenly abode. Love for the Father and the Son."